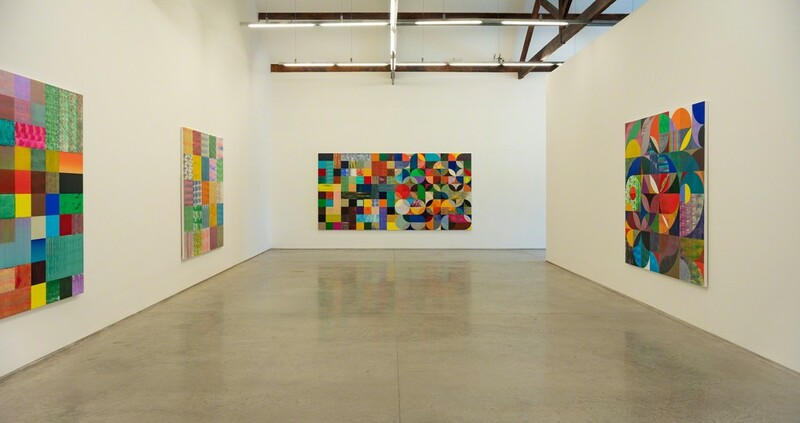 The paintings from the current exhibition nod towards the realm of geometric abstraction, as the artist uses the grid structure to investigate the relations between color, light and object. 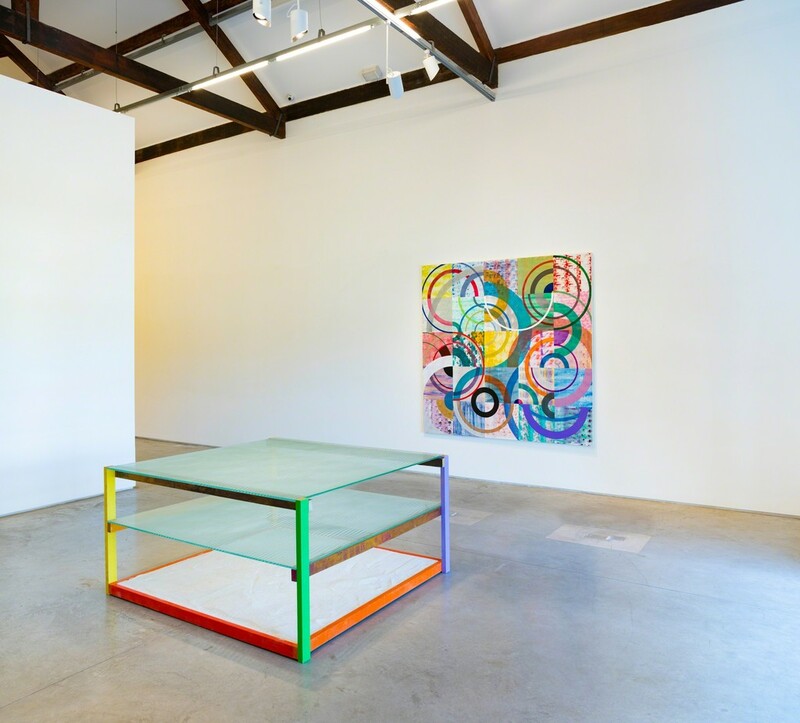 Four years after his last solo show in Rio, Luiz Zerbini presents at Carpintaria seven new large scale paintings, as well as three monotypes and a sculptural table. 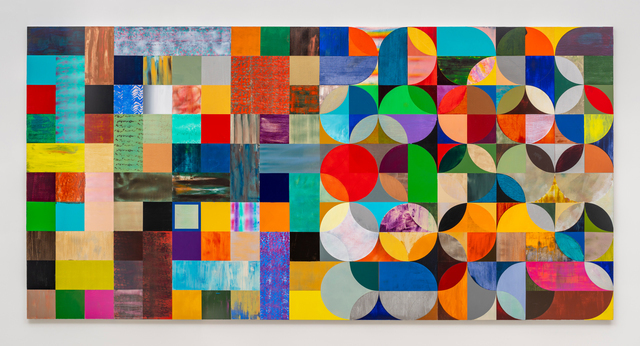 For over three decades, Zerbini has developed a complex visual vocabulary in painting at the intersection of figuration, abstraction and geometry. 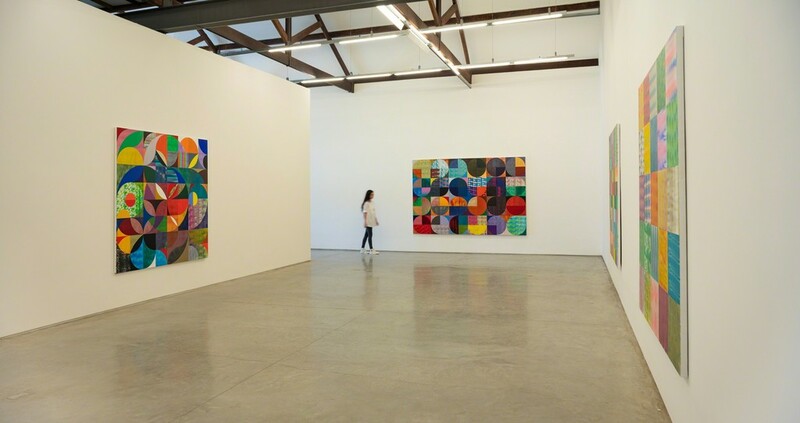 The paintings from the current exhibition nod towards the realm of geometric abstraction, as the artist uses the grid structure to investigate the relations between color, light and object. Zerbini sees the canvas as an expanded field of possibilities, either framing the viewer’s perspective, or building immersive windows that unravel subtle figurative traces. 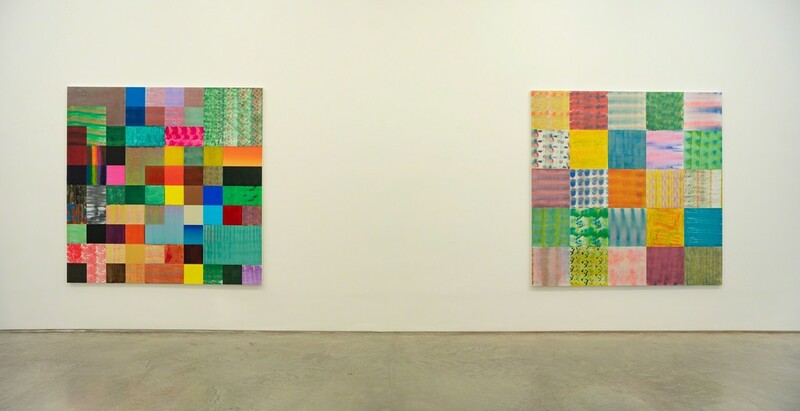 Gemini (2018) and Vento Voa (2018), for example, reveal a malleable approach to the grid, a system that is continuously challenged by the artist, whose practice is closer to contemplation than to the irreproachable accuracy usually associated with geometric abstraction. In spite of the seemingly absent recurrent imagery of his repertoire – waves, vegetation, noises – the works allude to these elements when they play with transparency and opacity, processing chromatic experiments that are key to the creation of a vibrational field like in Espiral (2018). In Logo-Love III, the shape accuracy breaks-up into winding curves that evoke the representation of tropical flora, so prevalent in his work. 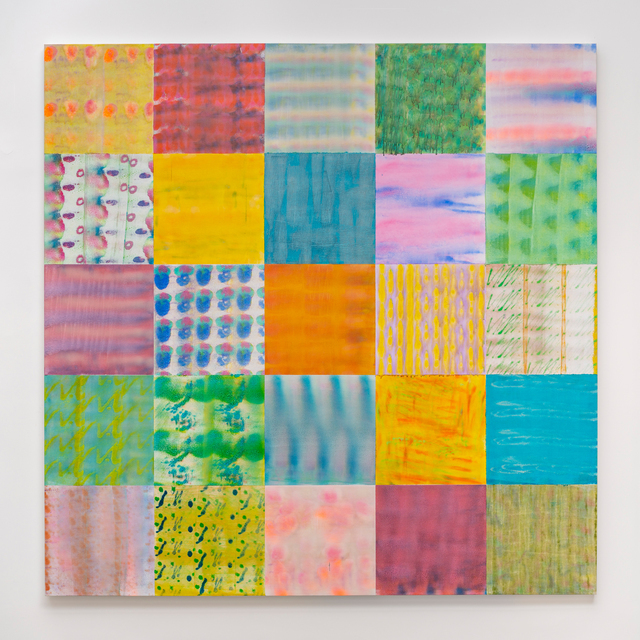 In other pieces, such as Dito Popular (2017), the artist uses a technique that is similar to a printing process, creating textures from the handling of a paint roller brush. 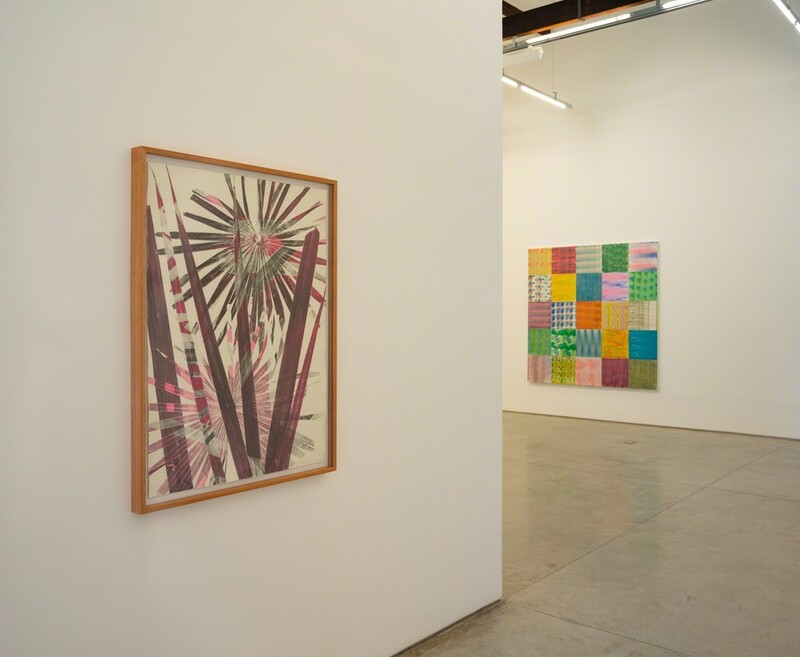 The monotypes carry on with the printing experiments initiated in 2016, when the artist created the first samples using as plates the plants collected from the botanical garden at Inhotim, in Minas Gerais. In his most recent incursion in this format, Zerbini chooses to enhance the color scale, allowing shades of pink, blue and black to contaminate the paper and plants. 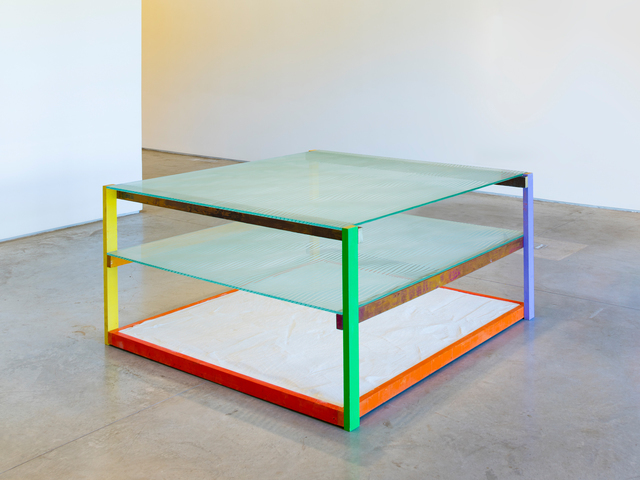 Displayed in the last room, Mesa Rio (2017) makes the outlines from Garrafas ao Mar (2018) seem three-dimensional, turning them into waves that gently scratch the glass and gain space as shadows casting over the sand on the base of the piece. Luiz Zerbini was born in 1959, in São Paulo, but has lived and worked in Rio de Janeiro since 1982. 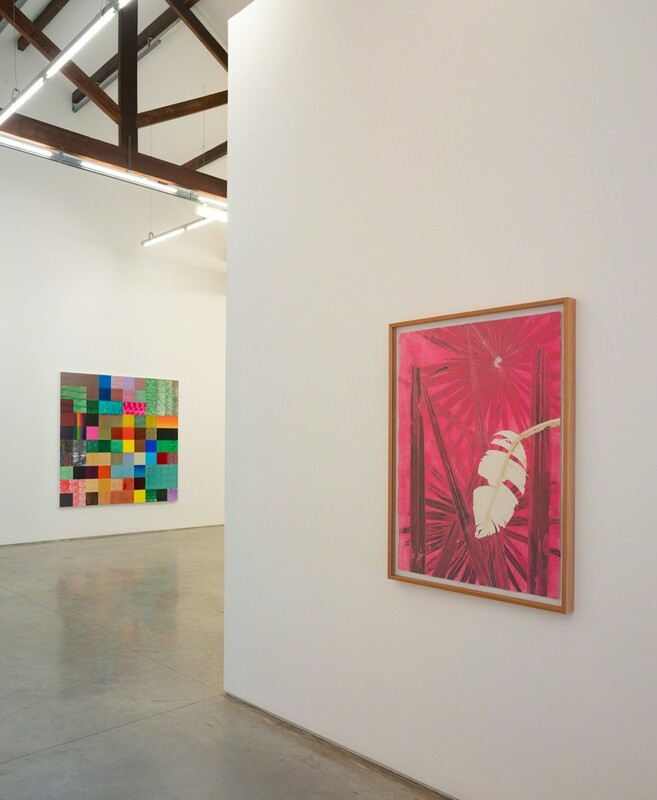 Among his most recent exhibitions, highlights include: the group show Southern Geometries, from Mexico to Patagonia (2018), currently on view at Fondation Cartier Pour L’Art Contemporain in Paris; Intuitive Ratio at the South London Gallery (2018), his first solo show at a British institution; amor lugar comum, a long-lasting exhibition at Inhotim opened in 2013; Amor, a mid-career survey at MAM Rio de Janeiro (2012). 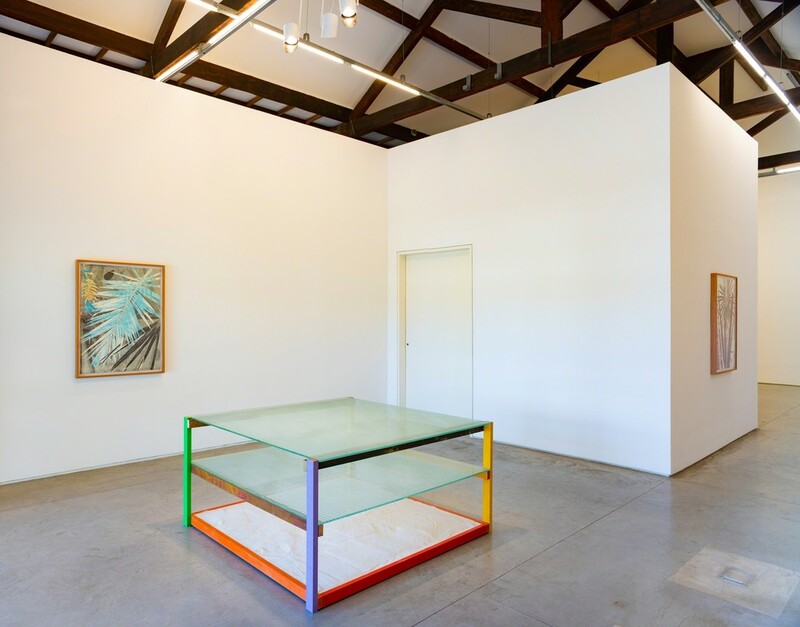 His work is included in many public collections, such as Inhotim, Instituto Itaú Cultural, MAM Rio de Janeiro, MAM São Paulo, among others. In parallel, since 1995, along with Barrão and Sérgio Mekler, Zerbini has been a member of the Chelpa Ferro collective, which investigates the relations between visual arts and music.